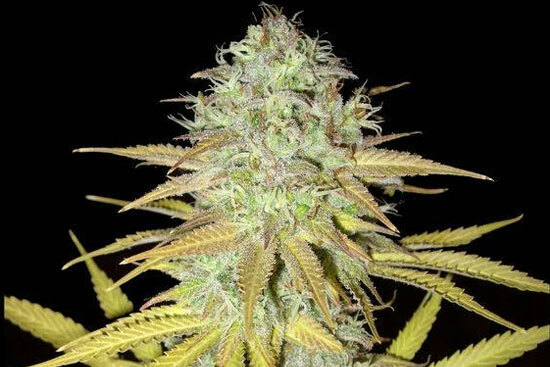 Ghost Train Haze was named by High Times one of the Strongest Strains on Earth. This high-energy, mostly sativa strain was bred between Ghost OG and Neville’s Wreck. It produces great frosty dense buds measured containing up to 28% THC.  Grows quick for a sativa, with only an 8-9 week flowering time. Ghost Train Haze #1 buds develop a lot of crystals, making it a prime “sugar leaf” strain, great for lazy trimmers or people who like to make concentrates out of trim leaves. ⚖️ A high yielding, energetic sativa strain. 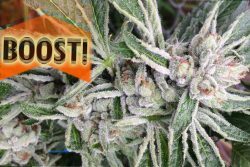 Ghost Train Haze #1 can yield up to 550-600 g/m2 indoors & 800-900 g/plant outdoors. Medium-high mold resistance. Keep buds from getting wet for best results when growing this strain.  While not the strongest smelling strain, the taste of Ghost Train Haze #1 is smooth and satisfying. Sublte good smell. The exotic fruit and haze flavors compliment the notes of kush present. A strong, giggly, immediate high. This potent sativa strain is all the rage and fire in 2018. Try picking up some Rare Dankness Ghost Train Haze #1 regular or feminized seeds for your next grow. This marvelous sativa-dominant hybrid, bred by Delta9 Labs, has grown viral in popularity throughout the United States for it’s unreal dank, dense and potent cannabis buds. Bruce Banner buds have been tested to nearly 29% THC!  Bruce Banner has numerous phenotypes, called BB1, BB2, BB3, ect. Each one shows a vigorous growth, and compact-but-large structure similar to other 60:40 sativa-dominant hybrids. Leaves develop a brilliant magenta color during late flowering. ⚖️ Big yields of heavy, sticky buds. Because of it’s OG Kush parent, Bruce Banner strains are recommended to be kept out of the rain during flowering. Grown in a dry, fair climate, Bruce Banner plants can finish all the way to the end for some marvelous chronic buds.  Lemony, hashy and delightfully spicy, Bruce Banner phenotypes have a range of aromas and smells. The high-THC content becomes immediately noticeable in the great euphoric heady feeling and functioning body stone. This super popular strain is in extremely high demand in 2018, for both stoners and growers. 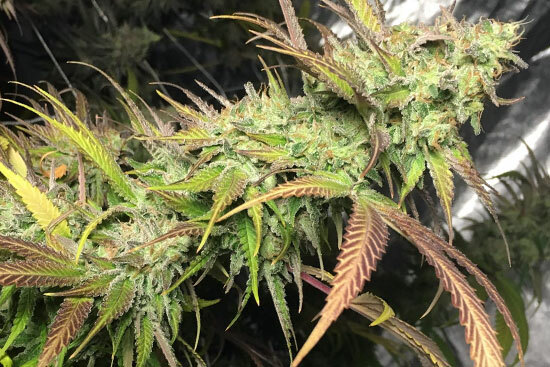 An eye-catching sativa-dominant hybrid strain, Chernobyl by TGA Subcool Seeds produces strong citrusy buds that have been recorded at reaching a high 30% THC.  This powerful growing sativa strain responds positively to plant-training and cropping techniques making it an adaptable variety for the indoor cultivator. Chernobyl, a 80% sativa strain can grow into a tree outdoors. ⚖️ Despite Chernobyl’s sativa genetics, this strain grows very sticky dank buds. 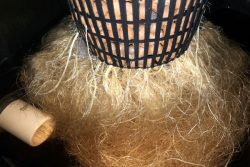 Moderate high yields at 400 g/m2 indoors. It can handle high temperatures and moderate humidity levels without mold problems.  Strong lime and candy flavor. These buds are a great fruity variety with a high bag appeal and develop a complex color scheme during late flowering..
Chernobyl develops colorful, dank and potent buds suitable for modern day quality standards. Containing a hodgepodge of old-school sativa genetics, Amnesia Haze has been at the top of the marijuana scene for years, winning countless Cannabis Cups and awards with it’s mind-erasing high 25% THC buds.  Grows large. This 90% sativa strain grows long limbs featuring frosty THC-laden nuggets with a Low leaf-to-bud ratio. 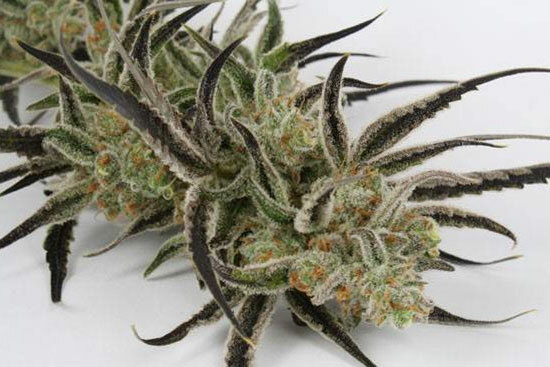 Amnesia Haze was made from South East Asian, Hawaiian and Jamaican genetics. ⚖️ Amnesia Haze’s robust plants flower slamming on the bulk, evolving into gigantic colas that exude an oily grease of resin. Often being termed as ‘producing buds like an indica while growing as a sativa’, Amnesia’s resistance to disease and mold is high.  Flavors of lemon, anise seed and tropical fruit. Amnesia Haze is a very smooth smoke with an hard-hitting buzz. A creeper high. Amnesia Haze’s highly potent “amnesia” buds are what gave this strain it’s name. 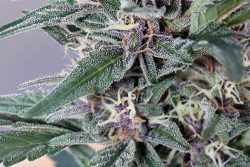 Tired of growing strains that are supposed to be fruity, but don’t satisfy your strong-flavor needs? Try Strawberry Cough.  These vibrant cannabis buds turn red and purple during flowering (in a cool climate). Strawberry Cough is a sativa-dominant strain with over 24% THC and maximum bag appeal. ⚖️ Yields are high for this medium-sized structure plant. Strawberry Cough is easy to grow indoors and outdoors, and can handle rainfall on it’s buds well. Mold resistant strain when grown in Hawaii.  Taste that lives up to it’s name. Most Strawberry Cough phenotypes retain the distinct fragrance of strawberries. Grown from seed this strain is pretty reliable for creating a uniform, good bag of pot. An excellent sativa strain with a strong effect and flavor, Strawberry Cough will please anyone who opens up a bag of these super-fruity nugs. This killer strain is a grower’s and stoner’s favorite. Green Crack is a high energy 60:40 sativa hybrid that got it’s name for a reason. Over 20% THC.  A great strain for cash croppers, Green Crack grows well both indoors and outdoors. Outdoor growers in temperate climates love growing Green Crack for it’s short 55-day flowering time. ⚖️ Where Green Crack really shines is in the yield. This productive high-yield strain can give grower’s harvests up to 3 kilo plants of mold-resistant, stinky buds. Christmas tree structure.  Tastes like a mix of skunky and fruity flavors. Pineapple and mango with a hint of cedar aroma. 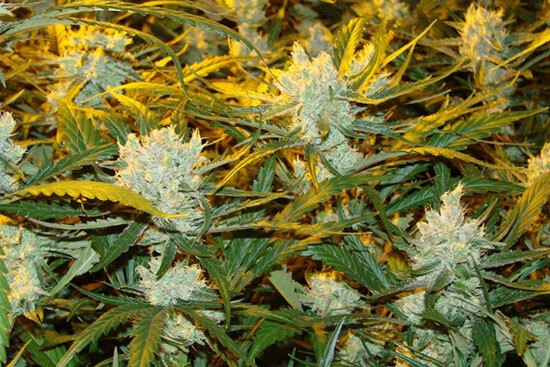 Green Crack is a popular strain that pleases the crowd. Good energetic high.  A great all-around sativa dominant hybrid, Green Crack is the best stoner motivation you can ask for. The illustrious Hawaiian Maui Wowie (aka Maui Waui) strain has been a legend in the marijuana scene for decades, and continues to astonish users with it’s ravishing fruity colas.  Grows into large plants perfect for the outdoors, however Maui Wowie can be controlled indoors also by utilizing super cropping, or SCROG techniques. This slightly stretchy plant may take as long as 12 weeks to finish flowering. ⚖️ This strain will yield low if you harvest early. Be patient and let some Maui Waui phenos go to 12 weeks to see how these sativa buds really stack up on each other good.  A motivating high, Maui Waui is some high grade top-shelf dank weed. Tastes like flowers and citrus. Stoners love smoking this “Hawaiian pakalolo” strain.  A hardy, high yielding sativa strain finishing solid in nearly all conditions, Maui Wowie gives users a heady, old-school sativa high paired with a taste of the tropics. Laughing Buddha is a combination of two tropical sativa strains, Jamaican and Thai. This strain was named for the giggly, high energy effect it’s buds induce. High 22% THC content.  A lively grower, Laughing Buddha grows into a x-mas tree shape with large side-branches. These perky seedlings grow easy indoors, outdoors and in a greenhouse. ⚖️ Yields are high – indoor growers can reap 600 g/m2 growing Laughing Buddha. Outdoors, these plants will structure large and finish flowering late into the fall. Fragrant flowers.  Tropical fruit flavor. A perfumey aroma. Laughing Buddha buds give a happy rush of energy to the working stoner. Laughing Buddha is a nice way to try tropical sativa strains without having to wait the long, extended flowering time common in such varieties.  Relatively easy to grow from seed in all climates. Bay 11 leans heavily towards the sativa side, producing plants with a large stature, abundant yield and low leaf-to-bud ratio. ⚖️ Ken Estes (Grand Daddy Purple) is at the top of the West Coast cannabis scene, putting solid genetics on the market that have gained a reputation of uniformity, flavor and supreme quality. Extremely high yield of large sativa buds.  Great all-around “good pot” flavor. The looks are to die for: light green and golden buds saturated in glistening resin, splashed with hues of purple, giving Bay 11 the ultimate bag appeal. Loads of trichomes and a thick coat of resin form on these unique sativas. A modern candy strain for those who demand top quality rock-hard nuggets, Strawberry Sour Diesel gives an enthusiastic, spirited high great for your high energy needs.  Grows and forms a bud structure similar to a Kush variety. Medical Marijuana cultivators love this strain for it’s high quality, flavorful buds. ⚖️ Sugar-coated Strawberry Sour Diesel buds pack on the density, giving indoor growers over 500 g/m2. Outdoors, yield is high and this strain’s resistance to mold is exceptionally well for being a candy hybrid.  Strains of the strongest flavors have been bred together to create Strawberry Sour Diesel – the legendary Sour Diesel, along with famed Strawberry Cough ‘join forces’ to create an unbelievably fruity, mentholated pungent smoke that exemplifies a true dessert strain. Elevated THC levels, lively effects and a delectable taste come hand-in-hand with the viral, sweet-flavored Strawberry Sour Diesel. This crazy looking sativa strain is a great combination of the clone-only G13 strain, preserved by crossing it with the sativa Haze and inbreeding from there. Available in regular and feminized seeds.  G13 Haze is nearly all sativa. 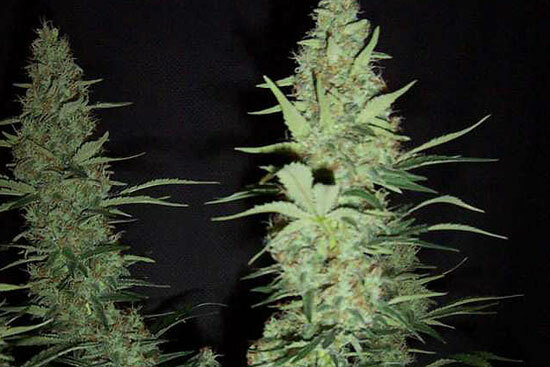 It grows wild elongated buds, similar to other exotic Thai and Central American sativa genetics. ⚖️ Despite the airy bud formation, the colas on G13 plants can grow big. 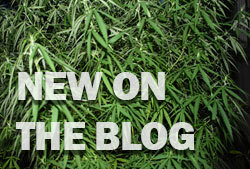 Expert growers of G13 Haze are able to pull 500-750 g/m2 indoors. 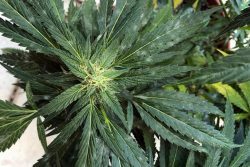 Outdoors G13 seeds have beaster potential, plus the buds have good airflow making G13 Haze one of the best mold resistant sativa strains.  Tastes are earthy, tropical and fruity. The strong, over 20% THC, potency of G13 has a fast onset, and is high in psychoactive effects. 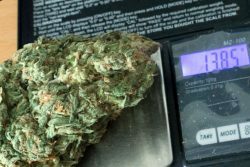 This strain may be too strong of a high for some medical marijuana users.  A great unique sativa strain to stand out from the kush-saturated competition. G13 Haze is grower’s and stoner’s delight. Named after the “Emperor of Hemp“, Jack Herer is a cerebral sativa strain with crystal-coated buds containing more than 20% THC.  This slightly sativa dominant strain may long, flowering for up to 12 weeks. 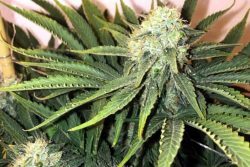 However, Jack Herer seeds produce various phenotypes, some displaying more indica characteristics than sativa, and those will finish in as little as 8 weeks time. ⚖️ Easy to grow whether you’re indoors or outdoors. Yields are high, the indica pheno will produce smaller, compact buds while the sativa pheno will make long slow-growing colas.  Tastes similar to a creme brulee. Rich creamy and nutty flavors combine with a spicy Haze and Skunk profile. Trics are brittle and fall off easily when you break up the bud.  Jack Herer has won more High Life Cannabis Cup awards than any other strain. Imaginative, cerebral effects. 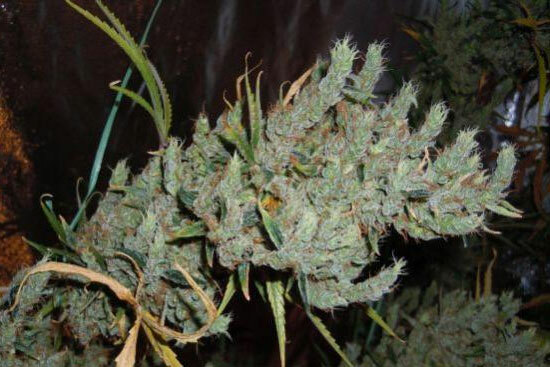 One of the fastest and most productive ACE Seeds sativa strains for growers, Bangi Haze has a trippy African sativa high and gets very nice, compact buds covered in frost.  Bangi Haze is a big sativa. Provide a lengthy, nutrient-filled vegetative cycle and watch her boost during flowering: viciously gaining mass, setting up for a substantial harvest of top grade sativa ready in about 10 weeks. 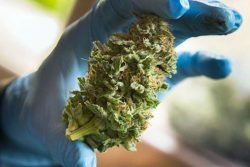 ⚖️ High yields right up the outdoor marijuana grower’s alley, being a vigorous, trouble-free plant, resistant to bud mold (botrytis) and the dreaded powdery mildew.  Light green nuggets that reek of a sweet, skunky licorice scent, match the smooth-smoking spicy flavor. Inspirational buzz great for creative music, art, ect.  The finished product is quite compact for a sativa, making Bangi Haze a desirable market variety for commercial growers. A Mexican, an Afghani and a Thai collided head-on at a railway junction – forging the destructively potent strain known as Trainwreck. 18-25% THC on this strong stone.  Nearly 90 percent sativa – Trainwreck plants grow fast and aggressively, orienting into a bushier structure than other sativas, while still holding mammoth height potential. ⚖️ Trainwreck’s moderate yields of knockout buds can load freight trains full of killer, potent goods. 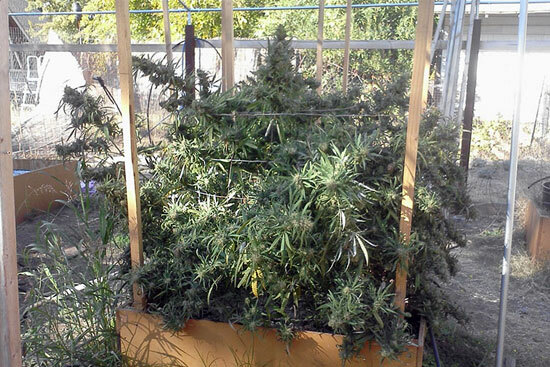 The more plants the better, many Cali growers grow a voluminous amount of Trainwreck plants rather than a few big ones.  Trainwreck’s buds are a unique light-green color featuring shades of gray, imparting a sinister marijuana look. The aroma would be best described as freshly ground black pepper in the midst of a pine forest. Heavy-hitting high for you stoners suffering from boredom. Carrying a mixed load of full-strength sativa and indica effects, Trainwreck affects the mind with it’s speedy, race track head-high next to a crashing indica body stone. A dynamite high. Named after the famous engineer who was killed in a fatal train wreck, Casey Jones’ snowstorm crystalline cannabis reaches as high as 22% THC. Immediate uplifting effects.  Sativa genetics dominate Casey Jones two-thirds to one despite of the fact that this strain takes on an indica-leaning appearance. Bred between Sour Diesel and Oriental Express parents, Casey Jones’ light-green, nearly white buds are superbly dense, holding a thick crystal powder. ⚖️ Fabulously high bud-to-leaf ratio marijuana forms on Casey Jones plants that finish their cycle in a short 8 weeks time. Structuring out into a dominant-cola appearance, with proper growing techniques the main colas get absurdly colossal.  Casey Jones smells and tastes comparable to gardenias, spiked with a dash of lemony sweetness. Good artistic creativity with this strain. Casey Jones’ sublime heroism ended up saving all the passengers on-board his last, fatal run thanks to the complete mastery of his engine. Caannabis culture honors this legend in strain form. Bred from the illustius Cinderella 99, Grapefruit is a fast-flowering, sweet sativa with a soaring cerebral high. Up to 20% THC in these fruity buds.  A slightly finicky strain that doesn’t require much nutrients to grow, Grapefruit is a short-statured 75% sativa strain for the experienced medical marijuana cultivator. ⚖️ Moderate yields. Plants will develop yellow leaves with hints of red and purple colors during late flowering. 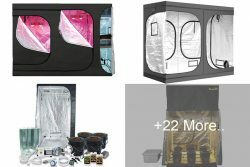 Suitable for indoor and outdoor growing, fairly mold resistant.  Get a tropical citrus smell and flavor just like real grapefuit in some phenotypes. Grapefruit’s clear, energetic effects make a stress-relieving productive high.  Quick 8 week flowering time for this heady sativa. Good clear-headed high. Super Lemon Haze is a finicky sativa that can be slow to grow at first. Don’t let that get you discouraged though, these buds are straight-up lemon A-grade chronic.  The plant grows with alligator-like rough leaves that are long, thin and dark green in color. During the vegetative growth cycle, provide Super Lemon Haze with lots of high intensity light and/or full sunlight with a healthy soil and nutrient regime. ⚖️ High yielding sativa strain. Once you hit the flowering cycle, make sure to keep on the heavy lighting, pump up the nutes and keep the plant clean from dead leaf matter.  Super Lemon Haze has been regarded as one of the best sativa strains for almost a decade. Red Dragon’s succulent flowers stack profusely, loaded with a sugary glaze that place this exotic hybrid in a league of it’s own. 22% THC.  Red Dragon grows easy and finishes flowering quick, whether it’s indoors or outdoors. Give her 8 weeks and be awarded with alluring top-shelf quality buds. This strain loves lots of light. ⚖️ Yields are good at over 600 grams per meter squared. Red Dragon’s frosty, sugar-coated nuggets take a mostly sativa appearance, paired with indica density that reeks of overripe fermented tropical fruit.  The smoke of the Red Dragon induces a long-lasting high ranging from thought-provoking sativa effects to the body high properties of an indica. Great for working baked.  The Brazilian genetics present in Red Dragon really shine, flowering into a unique pleasant smelling dense bud formation. Cannalope Haze is a unique, thought-provoking sativa strain bred from Haze Brothers and Mexican Michoacan sativa genetics. It has a super high 20-28% THC content!  Being a 95% sativa, this strain grows large and stretchy, and may grow above other plants in the grow room as it reaches for the light. Cannalope Haze grows in a x-mas tree formation and works well with SOG cultivation methods. ⚖️ Productive harvests of loaded plants. These long sativa branches produce very wide buds. 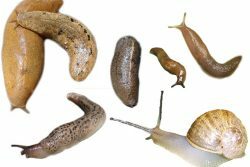 Yields at 500-600 grams per meter squared indoors. 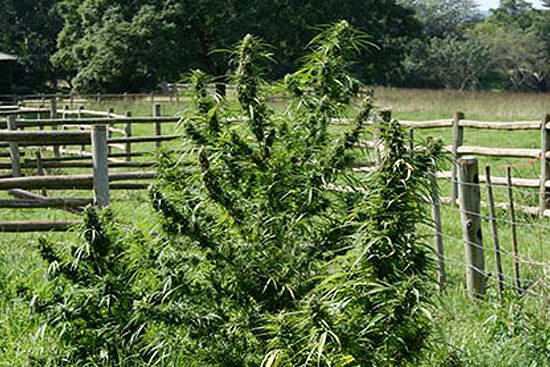 Outdoors this strain can grow into multi-pound plants.  This strain actually has a taste like cantaloupes. Hard and compact buds for such a dominant sativa strain. The predominantly sativa high is noticeable in the clear-headed inventive feeling it provokes. Cannalope Haze is a large-budded sativa strain that makes excellent tasting bubble hash as well. For MMJ enthusiasts, CBD Mango Haze is a nice, mellow sativa strain. It has an easy-going, inspirational high. Low 6-8% THC and high 15% CBD on this one.  CBD Mango Haze grows up quickly; haze genetics enable jumbo plant structure that responds well to both outdoor and indoor growing. 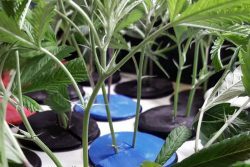 This strain handles topping, SCROG and other training methods well, enabling a variety of growing techniques to be used. ⚖️ Breaking the prerequisite norms of 1:1 THC to CBD for medical applications, CBD Mango Haze astonishingly tests up to 1:2 THC to CBD – a wealth of relief – this strain has been recorded containing upwards of 15% CBD levels.  Shining resin-laden nuggets provide a tropical fruit flavor experience that combine with the Haze’s exotic spice tones, giving smokers a true medical marijuana delicacy. Containing an extravagant amount of CBD for the medical marijuana patient, CBD Mango Haze offers good yields of fruity tropical sativa. A pure 100% sativa strain bred from Thai and Mexican/Colombian genetics. Stabilized for breeding. Destroyer is a high THC The Thai qualities of this strain show.  This vigorous strain grows large banana-finger leaves that soak up the light. If grown indoors, enough space should be provided for Destroyer as it will stretch a lot during it’s up to 12 week flowering cycle. ⚖️ Fluffy buds that take a lot of pot to make an ounce. 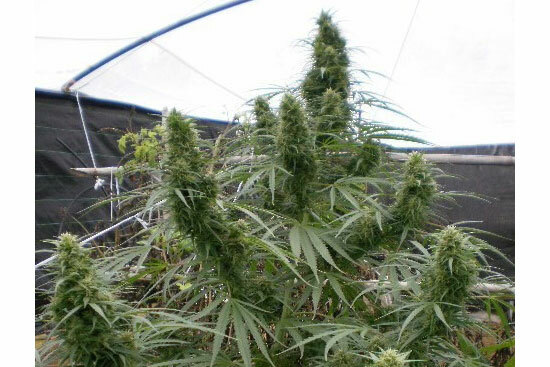 The plant grows massive colas and bud-filled branches of slightly airy flowers. A fairly mold resistant strain for wet areas.  Lavender and ripe fruit flavors. The effects of the Destroyer pure sativa strain are slightly psychedelic, and will often not hit until after 5-10 minutes (creeper high).  Destroyer is an easier alternative to growing other Thai sativa strains which can flower up to 18 weeks or more! This landrace cannabis sativa strain is found growing wild on the north-facing slopes of the Drakensberg ridge in South Africa. Kwazulu is an awesome producer of buds that look big in a bag. 15-20% THC.  Super easy to grow strains. Kwazulu plants grow speedy from seed, and produce large banana-finger fan leaves. This plant will outgrow most hybrid strains and may need to be kept in an area of it’s own. ⚖️ Kwazulu is a high yielding sativa strain that gets superbly heavy, dense buds compared to other pure sativa strains. Keep this plant in a spot with good airflow. 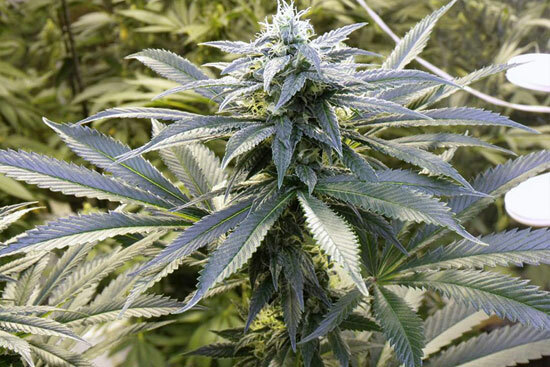 Most resistant buds great for outdoors and indoors, too.  Spicy taste. Not the most fruity tasting weed, but it smokes smooth. The buds are huge in a bag, and is a real eye-catcher.  This strain has a cool backstory, having a history of being used by African warriors before battle. Kwazulu grows great in wet climates like Hawaii. 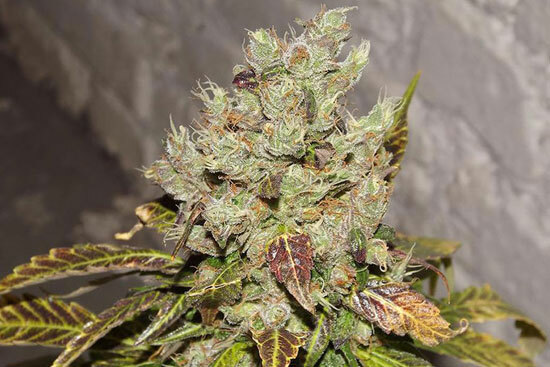 A strain collected in the area of Africa’s highest mountain, Kilimanjao is a pure sativa landrace cannabis strain that has been stabilized by growers in Europe. Up to 20% THC.  A bulky grower, Kilimanjaro is a vigorous 100% sativa strain that can handle a lot of light. It’s a suitable strain for cannabis cultivators in rainy, wet climates and high latitude ares. ⚖️ Yields are great for this strain indoors and outdoors. Some phenotypes will flower 10-11 weeks forming into bulky sativa colas. A very mold resistant strain.  Tastes of citrus fruit and spices, the aroma is pleasant. This pure sativa strain gives an uplifting, stimulating and very energetic effect.  This landrace cannabis strain is nicknamed “Elephant Killer” (for it’s extreme potency) in the local villages around where it grows. Thai cannabis strains are some of the most psychedelic, trippy stones on the planet. These full-blooded sativa strains contain a high amount of THCV and as high as 22% THC.  Thai plants grow vigorously, often stretching above other plants in the growroom. A private grow space is ideal for growing Thai sativa strains. Outdoors in a warm climate is where this variety shines. ⚖️ The long 18+ week flowering period of many Thai sativa strains may throw some growers off. However, World of Seeds has stabilized Thai genetics in regular and feminized seeds that flower in a short 11-13 weeks time. 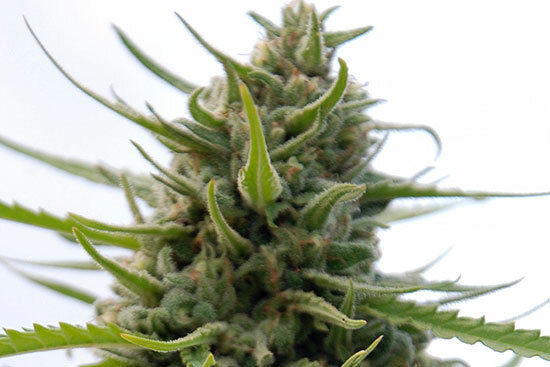 It’s important that Thai strains finish their bud cycle, immature Thai buds are weak and airy.  Tastes of anise, mint and fermented fruit. 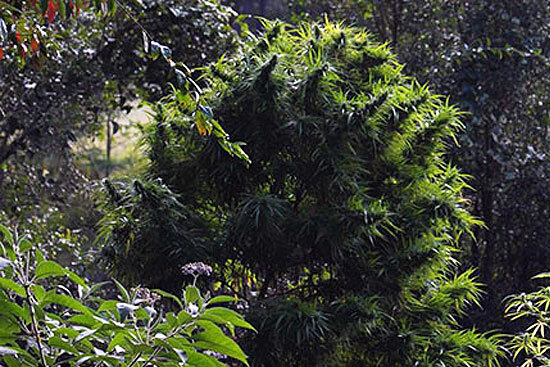 Thai buds have a caramel smell and a sinister appearence with their razor-sharp, thin leaves. The high is comparable to magic mushrooms. 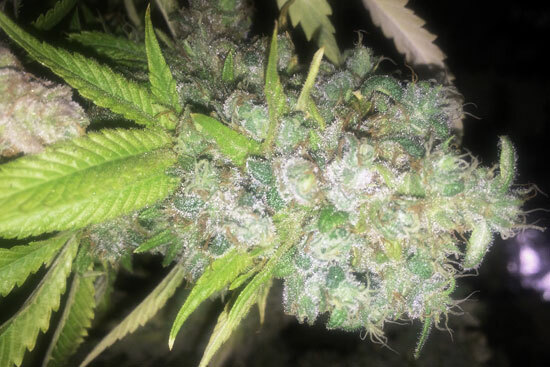 Growing Thai strains is an almost year-long project for the experienced grower. These unique buds will not let you down if they can finish their flowering cycle completely to the end. This is an old sativa strain said to have been brought in to Africa from Arab traders during the 15th century. 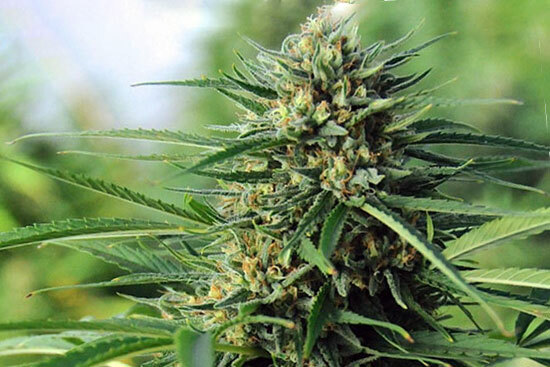 Malawi Gold is an energetic, euphoric landrace sativa strain grows big outdoors. 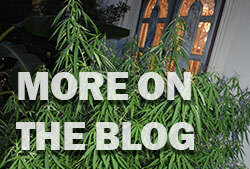  Grows into a huge sativa – a tall, slender plant. This strain will develop long branches that will need to be staked up during flowering. Stretchy growth patterns. ⚖️ Yields are high. 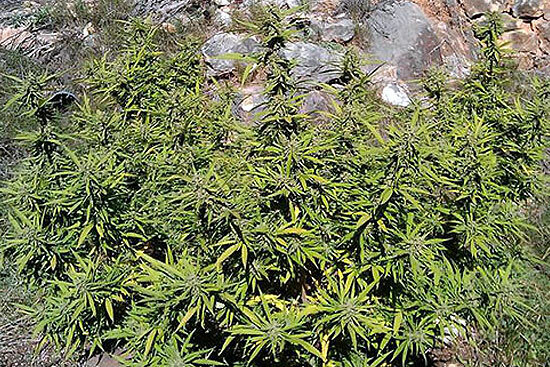 Malawi develops thick sativa colas that pack on the weight during late flowering. Let this strain go long for best results. A prime mold resistant strain. 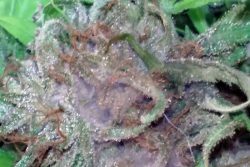  A very potent smoke, Malawi strains hit hard with it’s creeper high that will slam you psychologically in about 10 minutes after smoking these buds. Make sure you have plenty of room for this beaster plant. If you can wait 3 months to flower, Malawi will give thick sativa dank buds. Disclaimer: Know your laws. 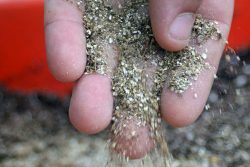 Read federal and local/county laws before buying seeds online. We do not promote or undertake in illegal activities. 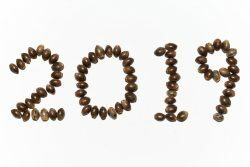 Howzit Hawaii growers! I’m looking to try some Moontang from Bodhi. Sativa , hopefully should b ono! Aloha! Right on, let us know how she comes out. I need that energetic Vietnam strain, the hybrids have been holding back my energy. Hi Dino. Yeah, the SE Asian sativas really kick @ss in the potency department. Take a few hits of the sweet smooth herbal smoke and be sent into a mushroom like trance, where your mind is moving fast and thinking in ways unusual. Quite the experience for the daring, SE Asian cannabis sativa rocks! A good sativa will make you feel motivated instead of the lazy couchlock effect, sativa is just what I need to work and function with. Agreed Bigbuck. Smoking a heady sativa strain does the trick to get those inner motivation gears going, all with a slightly uneasy feeling of imperfection, which IMO helps to make whatever you are doing better and more careful. Like the old saying ‘safetey meetings’ (smoking on a joint before work)… helps you to concentrate and be careful! I had some impressive sativa west coast import buds that changed the way I think about sativa. I had previously not cared for the sativa stuff as much, even though people hyped it up to me, the taste and quality always was sub-par. At least what I was getting was. But I tried this west coast cali shii, the called it just cali outdoor, and man was that like nothing I’ve tried. Fresh citrus flavor and a high that made me feel 16 again… for hours and hours. Been loving sativa ever since! 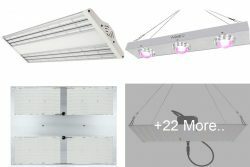 I’m Garry and indoor grower based in Denver, CO. 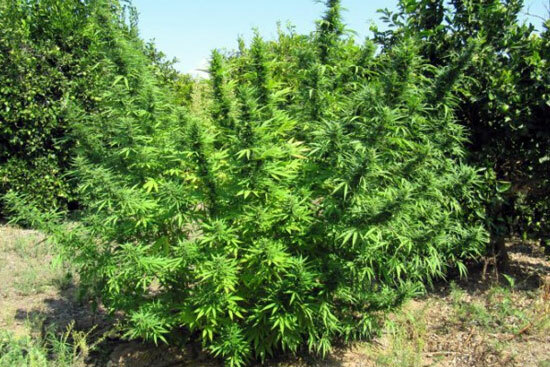 I and my team have been growing marijuana for over two decades now! 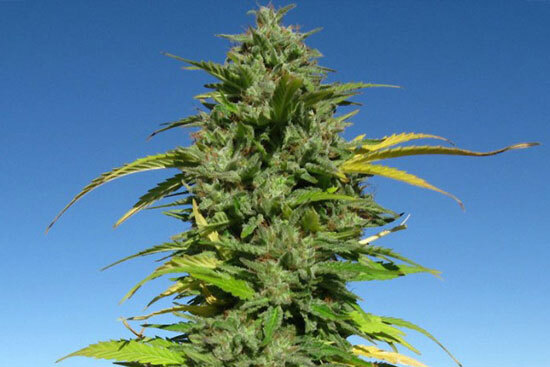 Have you ever tried the Mataró Blue from Kannabia Seeds? In Spain is quite popular, and people talks about good results 95% of times. Hi Juan, no I haven’t tried any Kannabia strains yet although I would like to try them! Aloha…stay growing 22 mag and punani from pakalolo seed molokai here in nanakuli, too bad cannot post pics…or can? Where is Pineapple Express on this list? I smoked some of that recently and from my personally and professional opinion it has to be top 10 sativa I have ever smoked! Sooooooo good, has a nice body buzz but also a great euphoric effect for the mind, kept me alert too thought he day.